You simply can’t beat the convenience and practicality of automatic roller doors. 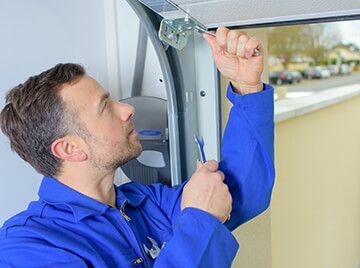 However, when things go wrong, it’s important to ensure you choose only the best technicians for garage door maintenance – whether you require garage door motor repairs or simply just remote control replacement, make sure you choose Star Door Service in Perth for all your roller door spare parts and service needs. 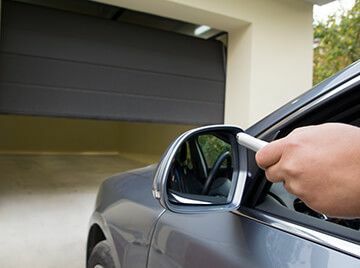 As a family owned and operated business with over 20 years of experience serving roller door owners from Perth and surrounds, Star Door are able to offer a prompt and professional service unlike any other garage door spring repairs in Perth. We specialise in repairing a range of Merlin garage doors, spring repairs, remote replacements, maintenance and general service, as well as providing you with roller door spare parts. With a fixed price for all garage door repairs in Perth, our services offer unbeatable value for money and quality, look no further than Star Door for all your roller door maintenance in Perth and surrounds – contact us to find out more today. We also repair sliding and swing gates to all makes and models and have a wide range of spare Merlin garage door remotes and other roller door remote controls for other brands. Occasionally, you will hear roller garage doors referred to by different names. You may have heard of roll up doors, rolla doors and roller garage doors; these are all different terms for the same product. Servicing all areas, North and South! When deciding on replacing or repairing your system, our technicians are happy to help you by giving you their suggestion, taking into account the model, age and condition of the unit as well as the economical aspect of the decision. We can also convert your existing garage door to automatic. 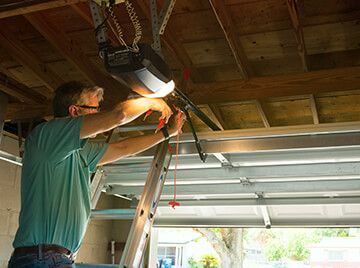 Why is it important to have your garage door serviced annually? The garage door is the single largest moving part in your home and should be inspected and maintained every year. Whether you have a belt-drive, chain-drive or manual door the maintenance issues are virtually the same. We repair and service all automatic openers for garage doors. If your motor needs to be replaced, we can supply and install brand new motors for you. 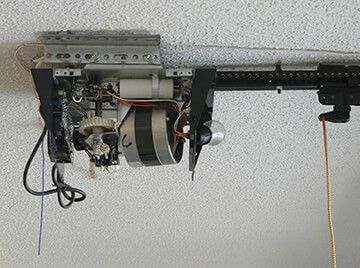 Looking for a new remote control for your garage door opener? We offer a wide selection of handsets that will suit your garage door. Living in or around Perth and require maintenance, service or repairs for your garage door or roller door remote control? Don’t hesitate to contact Star Door today. With fixed prices on our garage door repairs and a range of Merlin roller door spare parts available, we’ve got a solution to suit all your door service needs. We specialise in all Real Estate rental servicing and pride ourselves on our prompt and professional service. So if you have a client or tenant experiencing problems or requiring a service to their garage door or gate, we would love to help. We have 3 highly skilled technicians and 3 fully equipped service vehicles ready to attend any repairs or service to any make or model of garage door and automatic opener. Our call out and inspection fees are very reasonable and include a full service of the garage door and motor. Any additional costs will be quoted prior to any work taking place. We stock a wide range of handsets and give coding instructions with each one. We can also supply and install new colorbond roller doors, colorbond sectional doors and custom made sectional doors.